Ada soalan mengenai Long Beach A Sun Resort? 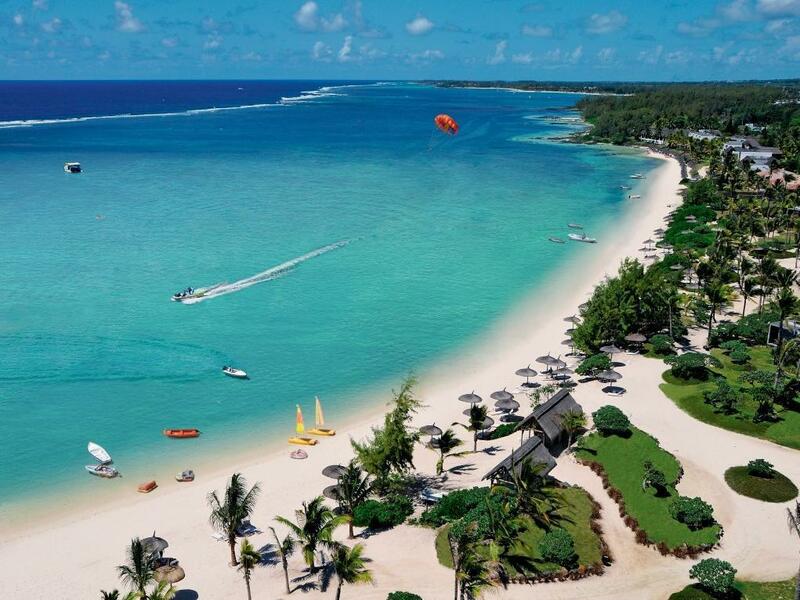 Long Beach Golf & Spa Resort, terletak di Belle Mare, Pulau Mauritius, merupakan satu pilihan popular bagi para pelawat. Dari sini, tetamu boleh menikmati semua kemudahan yang bandar ini tawarkan. Bagi anda yang ingin pergi agak jauh, Pantai Belle Mare, The Legend Course, Kelab Golf One and Only Le Saint Geran merupakan beberapa daya tarikan untuk pelawat. Pendek kata, semua perkhidmatan dan kemudahan yang anda harapkan daripada Sun Resorts adalah tepat bagi keselesaan seperti berada di rumah anda sendiri. Tetamu boleh menikmati kemudahan seperti khidmat bilik 24 jam, Wi-Fi percuma semua bilik, pengawal keselamatan 24 jam, pengemasan harian, kedai cenderahati. Long Beach Golf & Spa Resort mengandungi 255 bilik yang dihias indah dan menawarkan televisyen skrin rata, telefon di bilik mandi, rak baju, kopi segera percuma, teh percuma. Di samping itu, pihak hotel menawarkan aktiviti rekreasi untuk memastikan anda mempunyai perkara untuk dilakukan sepanjang penginapan anda. Nikmati perkhidmatan yang sukar ditandingi dan lokasi benar-benar berprestij di Long Beach Golf & Spa Resort. Mulai 1 Februari 2019, bayaran hijau untuk Ile Aux Cerfs Golf Club akan dikutip. We were very well taken care by the guest relations manager miss auriley who knew what customers service and satisfaction is. Had it not been for her the duty manager totally brushed us aside by giving a room which was not in line with the booking. What a wonderful week! This hotel was just fantastic, the breakfast, the views, the peace and serenity. The kids club was exceptional - my 7 yr old and 3 yr old were so delighted to toddle off each day - they did wonderful things with them -cocktail mixology, henna tattooing, golf, tennis, football, sandcastle competitions, pool activities - they had an amazing week, and as a result, so did we. Can not recommend this hotel enough! Many activities like snorkeling and so on were already included in the package. The food and spa service were great. The privacy and silence was also great!! A hotel that's really worth your money. Good and Friendly straff who does everything they can to make you feel comfortable. Beautiful location, amazing opportunities in the hotel area. Great sea spa. Enjoy yourself a full body massage, given by the hotel's well educated masseurs. Love to come back here one day. There are a lot to say but just to sum it up it definitely worth the 6h flight that we had from Dubai for only three days here. We will definitely come back with the little one next time as we realized that this is a child friendly location. All the best! The staff service attitude was wonderful. The rooms was neat, clean and tidy, very spacious. Wonderful holidays. Totally enjoyed ourselves. Great service staff and clean rooms. The hotel buildings are spread out with wide open spaces. Located in a secluded corner of belle mare, best to rent a car if you want to get around. The hotel 5 star as facilities. However, the staff lack of professionalism. I waited for almost 2.5 hrs for check in. The justifications from the staff not convincing. 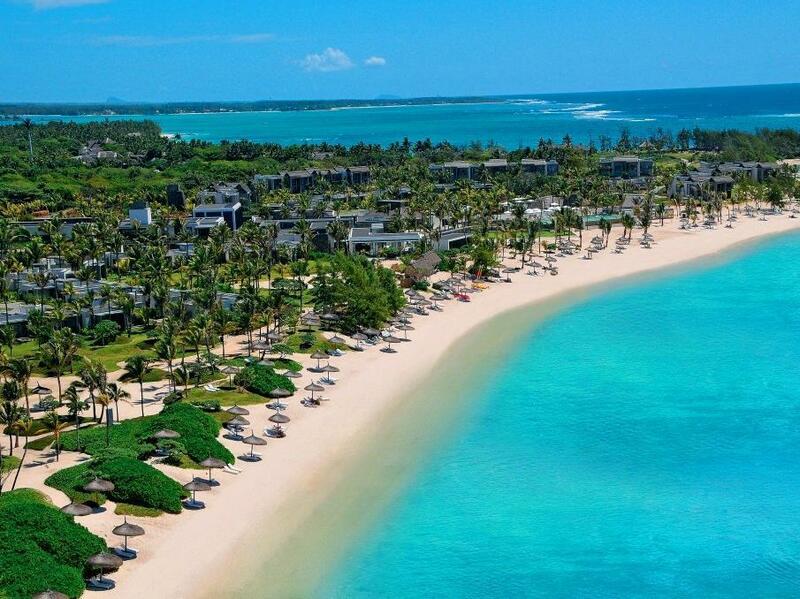 Also the location is not closed to main mauritius activity. I will recommend north side for the same value of money. Nice location, good restaurant, excellent bakery. Wide range of staff, some very friendly, others couldn't care less. Too many small things broken in room and on premises for a 5-star hotel. The nice beach is spoiled by parasailing and other power boats racing back and forwards in front of you (and potentially into you, if you're swimming..) all day. The accompanying exhaust gases don't exactly sweeten the experience.. If you'd like to explore the island, be prepared for dangerous, arrogant local drivers and expensive, poorly maintained rental cars (No airbags, no anti lock brakes, exhaust fumes in cabin...). MRU airport is substandard regarding passenger facilities and charges exorbitant taxes. Next time we'll consider the Canary Islands for a better experience at much lower prices. Expensive resort. Customer service mind of reception and staffs are very poor, specially to Asian. Only front gate staffs were the best. Not enough information regarding golf course. Ile aux cerf golf course is introduced on web. But Anahita golf course is also free green fee. Good for golfer. Resort is nice and staff are friendly. In room service is good. The facilities within the resort are great. Nice beach and beach sports. But going to other parts of Mauritius takes long time and also expensive. Not that good. Quality of staff was poor. Had to wait 30 minutes and was put a number of times on hold to give my order for room service. Waited 45 minutes in an Italian restaurant for an order. Lamps are broken with electricity wires sticking out next to the swimming pool where kids are playing, A climbing wall is left unsupervised with the ropes hanging out of it. We enjoyed the rooms and the balcony, but the lack of management and staff performance (not so much smiles as for example in the Lux) made us happy we moved on. Service requires improvement. Food and drink costs are ridiculous and just not worth it. 3 days. The food and drinks costs are actually ridiculous. There is no other word for it. We asked them twice to look at the water temprature in the bathroom which was very cool and even though they said they would do something about it, they never did. Language is a barrier as they do not really iunderstand your requests. Overall a good stay, however a few improvements to make the resort excellent. Slightly understaffed, especially on reception when sometimes calls do not get answered. No information about the 24 hour notice to book the restaurant was given. The restaurant in question was empty most of the night. Entertainment and activities were excellent! Overall a great location. The hotel overall was good. A few improvements are needed with informing customers that you have to give 24 hours notice to book a restaurant even when it is empty. More staff are needed around the resort, especially at reception where sometimes no calls are answered. Overall a good stay. Walking from the rooms to the beach/swimming pool/restaurants took about 10-15mins each time!